A large man starring on the popular Fuji Television program “Fat Guy Eats For Sustenance – Yay!!! !” has told viewers a bowl of ramen was delicious. 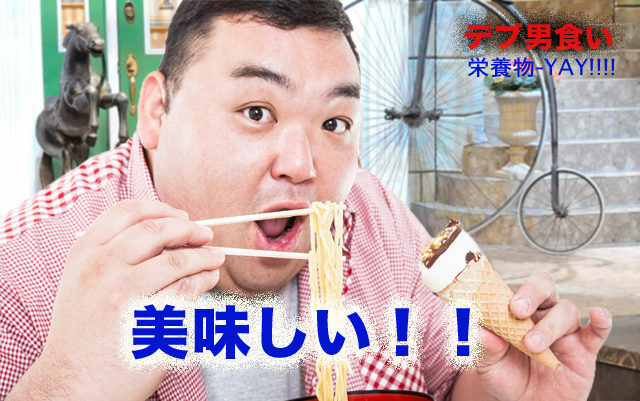 The episode received rave reviews with many who watched the show saying they really gained a lot of enjoyment from witnessing an overweight bloke devour a bowl of ramen. “He smashed those noodles in about 25-seconds flat,” said 44-year-old housewife Mizuki Hirota, adding that the intense slurping “really added to the believability of its deliciousness”. The food-eating celebrity ingeniously came up with fifteen side-splitting reactions to every mouthful of food he consumed during the show. What an amateur! Give me Ishi kun any day. Now that’s deliciousness we can believe in.